In the early years of aerial warfare, the title of 'best fighter' exchanged hands many times as technology advanced. During World War 1, the Germans, British and French kept their aircraft designers busy trying to push the performance envelope while addressing the threats introduced in the opposition's latest aircraft. Such was the case with the new Sopwith Triplane. This aircraft was more maneuverable than anything that the Germans had on the drawing boards at the time. 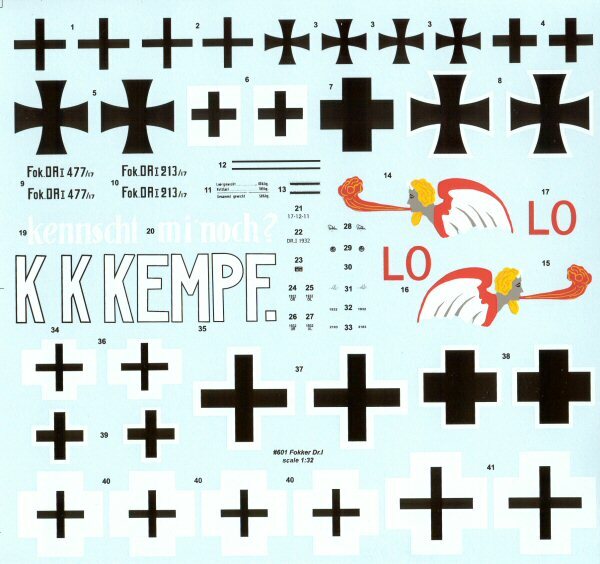 When one Sopwith Triplane fell into German hands, it didn't take long for the German aircraft industry to jump on the bandwagon. 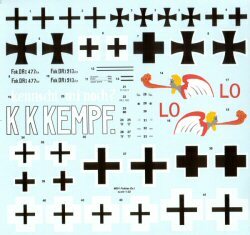 While numerous German aircraft companies tried to employ the tri-wing concept, only Fokker was able to develop what would become the most famous triplane of all - the Dr.I. The aircraft was not that fast (not with all of that drag! ), but it was highly maneuverable. As with modern combat aircraft, the Dr.I achieved its maneuverability at the expense of stability. This inherent lack of stability intimidated many German pilots, but in the hands of skilled aviators, this triplane was deadly. 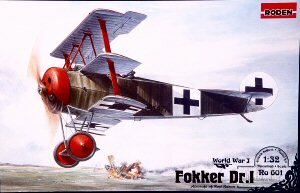 Even after the best fighter of WW1 emerged, the Fokker D.VII, many of the aces would still occasionally fly the Dr.I. 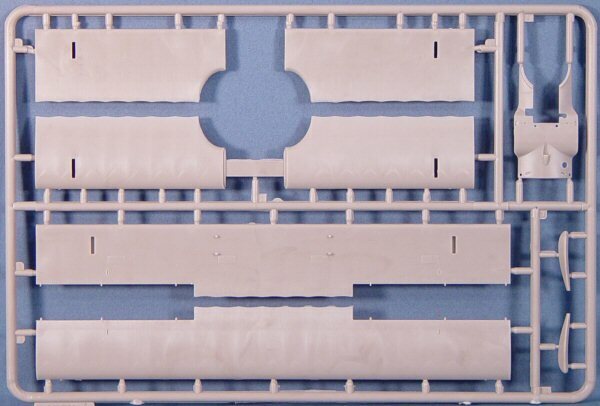 The kit is molded in Roden's gray styrene and features some nice detailing on the surface to represent the various construction techniques used on the aircraft. The rib detailing on the wings is nicely done. 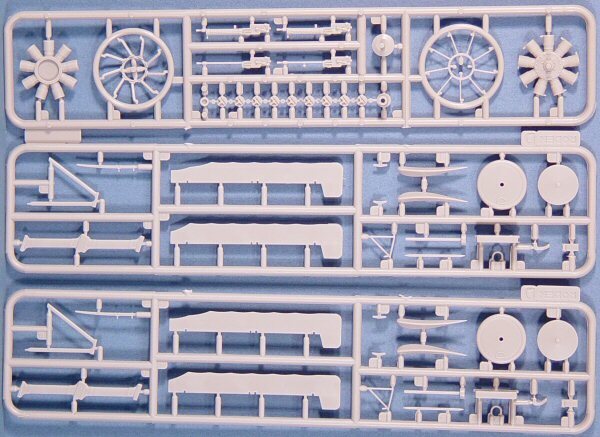 The kit comes on six trees of gray parts and these evidently have the parts to do variations of the aircraft. For instance, two sets of ailerons, horizontal stabs/elevators, machine guns, and propellers are provided, but only one of each is used in this release. 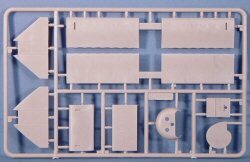 Assembly begins with the engine and it is a beautifully detailed component that will be visible at the bottom of the engine faceplate. 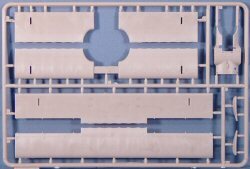 The remainder of the kit is also very straightforward, right down to the struts on the wings. This should be an easy build. 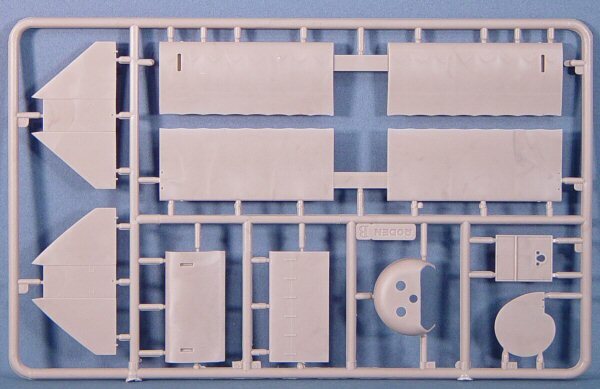 While this kit will look fantastic straight from the box, this would look even better with some photo-etched air cooling jackets for those machine guns in this scale! Roden has turned out another nice-looking Fokker. 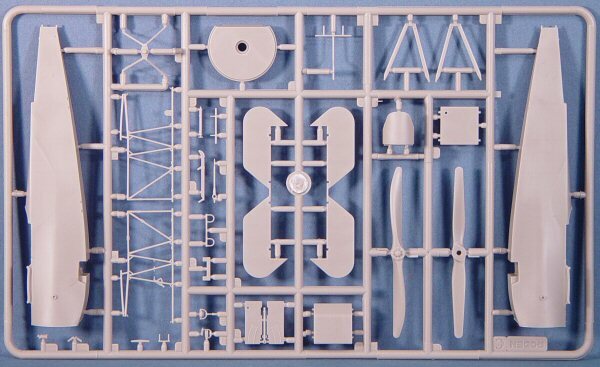 This Fokker is Roden's first 1/32nd scale aircraft offering and I certainly hope it won't be the last!